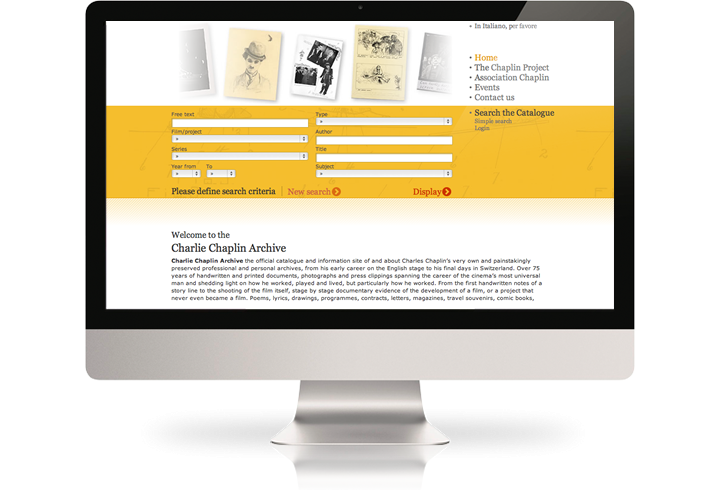 The Charlie Chaplin Archive, at the Cineteca di Bologna (Italy) is a fantastic resource about everything on Charlie Chaplin. Thousands and thousands of documents, letters, original scripts, photographs, film posters from the personal archive of one of the greatest and most prolific directors of the twentieth century. Keepthinking has helped making all of this material more accessible to everyone: we designed and developed a search engine to facilitate discovering the hidden treasures (fully available in English and Italian), powered by Qi. 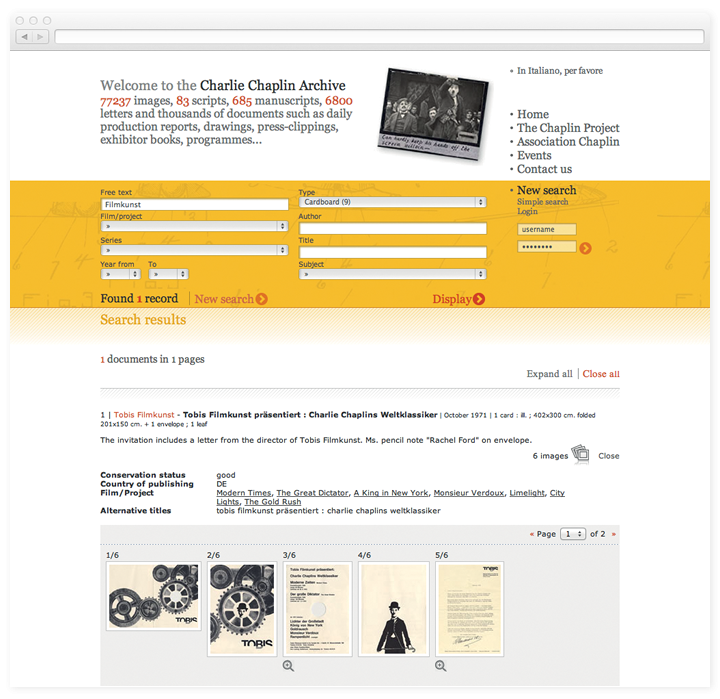 The website and the archive are fully bilingual, in Italian and English. Searches are done in real time, displaying combined search results as parameters are entered - so that once the numbers look right, results simply need to be displayed. 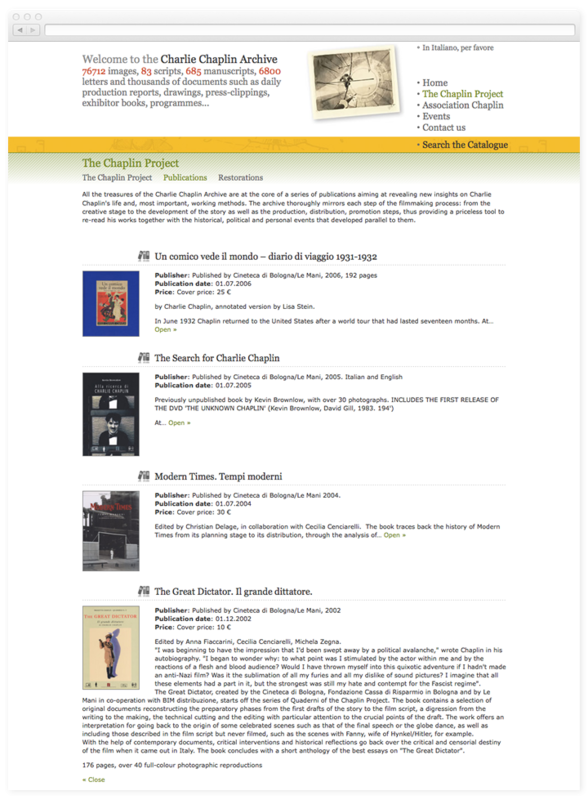 Qi manages the transition and search seamlessly in Italian and English, for the website content as well as for the entire archive material.